Full text of the Society's publications including journals: Biblical Archaeology Review, Bible Review, and Archaeology Odyssey. Video lectures from world-renowned master teachers on the latest key issues in archaeology and the Bible. German Archaeological Institute database of classical archaeology books and articles from 1956 to the present. Check the IP box and click on Start. No access on VDI terminals. Comprehensive index to the literature on sociology including journals, books, and conference papers. Index and abstracts to hundreds of periodicals, trade publications and books with links to full text when available. On ProQuest's platform. Full text of almost 500 scholarly peer-reviewed journals and selected trade and consumer titles relevant to applied arts and cultural studies. Hundreds of thousands of online images of paintings, sculptures, architecture and other works of art. Remote Users: Must Make Personal Account on Campus before trying remote access. After signing in with your AccessIT ID, sign in again with personal account username and password. Must disable your browser’s pop-up blocker. NEW Personal Collections feature. Index to hundreds of American and international journals on architecture with links to full text when available. The Getty provides open access to the Bibliography of the History of Art (BHA) and to the Répertoire international de la littérature de l'art (RILA). These citation databases, searchable together, cover European and American visual arts material published between 1975 and 2007.The Getty Research Institute. Abstracts and bibliographic records for design and applied arts periodicals from 1973. Covers design and the applied arts since the mid-19th century. Includes all genres of design including ceramics, glass, jewelery, fashion, textiles, furniture, animation, gardens, and landscape architecture. Text and image database containing thousands of records and images of works of art produced throughout the “Long Middle Ages,” from early apostolic times until the sixteenth century in seventeen different media. Started as a collection with emphasis on the art of western Europe and Byzantium, it currently has significant holdings from Coptic Egypt, Lebanon, Ethiopia, Syria, Armenia, and the Near East. Online successor to the Bibliography of the History of Art (BHA). Authoritative overview of international scholarship within the broad and interdisciplinary subject areas of European art since late antiquity, American art since the colonial period, Global art since 1945, Fine art in all media, Decorative arts and antiques, Museum studies and conservation, Folk art, and Architectural history. A wide variety of high quality open-access image collections of cultural heritage material from museums, archives, universities and other repositories. Provides open access to over 800,000 images digitized from the The New York Public Library's vast collections, including illuminated manuscripts, historical maps, vintage posters, rare prints, photographs. Resources for art research including Grove Art Online - the world's largest art encyclopedia and Encyclopedia of Aesthetics. Fordham University community can ignore the log in box! Subscription DOES NOT INCLUDE Benezit Dictionary of Artists. Interdisciplinary and global content about the Modernist period. Covers eight key subject areas: Literature, Architecture, Visual Arts, Music, Dance, Theatre, Film, and Intellectual Currents. Profiles of the most accomplished people in American Art. Full text of over 1,500 journals published between 1740 and 1940. Comprehensive, authoritative database for quality reviews of print and electronic reference works. Provides information on thousands of books, music titles and DVD/videos. Contains nearly 800,000 full text book reviews. With coverage back to 1983, it indexes reviews of current fiction and non-fiction, provides review excerpts and full text reviews, covering hundreds of thousands of books. Daily updates. Completely new website! Now a searchable database containing almost 200,000 reviews. 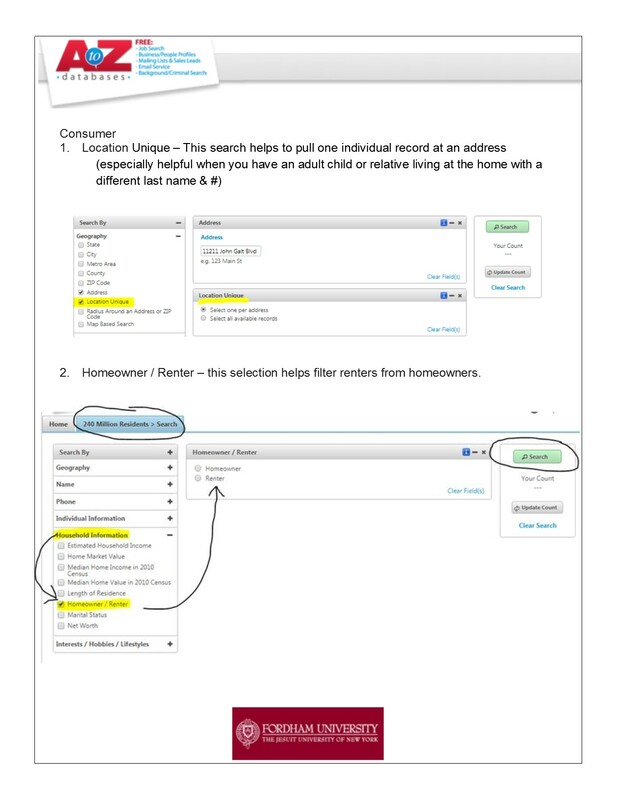 New functionality to build lists, save searches, and find books in WorldCat. Great for scholarly research. Note: Users need to create new personal accounts for this platform. Unlimited simultaneous users. Provides extensive descriptions and holdings information for works printed in Great Britain and its dependencies in any language, as well as for works printed in English anywhere in the world. Coverage is from 1473 to 1800. Index to essays and articles in anthologies. Gateway to 60 national and research libraries of Europe including the British Library, the Bibliotheque Nationale Francaise, Deutsche Bibliotek and many others. Information on thousands of works of fiction for adults, either written in or translated into English. Partnership of major research institutions and libraries creating digital archive of library materials. Full text access only to the portion of the archive that are public domain works, indicated by "Full View". Downloading or printing depends on each title's copyright status. Click into each title to see entitlements on the left sidebar. Provides coverage for over 700 periodicals plus books, research reports and proceedings going back to mid 1960s. A subject index for books, articles and websites published on modern languages, literatures, folklore, and linguistics back to 1926 and contains over 2.2 million citations from more than 4,400 periodicals. Includes access to MLA Directory of Periodicals. Database of millions of article citations published in the arts, humanities and social sciences. Offers thousands of free high quality ebooks. Full text of rare books, manuscripts, and images 9th-20th cent. at PENN Library's collections. Bibliographic information and current pricing for U.S. and international titles, including newspapers. Lives of over over 19,000 deceased Americans published by Oxford University Press.Fordham University community can ignore the log in box! Biographies of over half a million people from antiquity to the present with portraits. Includes the full text of biographical articles from journals and books. Lives of famous scientists from all periods and countries. Online biographical encyclopedias and dictionaries. Biographies of important Canadians who died between the years 1000 and 1930. Work in progress. Comprehensive dictionary spanning over 9000 lives of Irish men and women who made a significant contribution. Provides reliable information on authors and their works while placing writers in the larger perspective of literary history. A key GALE ARTEMIS cross-searchable resource. Brief biographies of over 1.4 million people from all fields: government, business, science, technology, the arts, entertainment, sports. Please click log off link when finished, access limited to 5 simultaneous users. Biographies of over 58,000 people who influenced British history and life from the beginnings to the year 2009. Fordham University community can ignore the log in box! Digitized books, journals, images and collections from a consortium of natural history and botanical libraries creating a global “biodiversity commons” of significant biodiversity materials. Includes the foundational literature component of the Encyclopedia of Life. On ProQuest's platform. Provides access to a wide range of biology topics, including some of the most popular information resources for users in academic, government, and public research environments. Abstract and citation database covering thousands of titles in Science, Social sciences and Arts & Humanities going back to 1960. Full text for thousands of journals and other sources. Covers business, economics, management, accounting, etc. Online encyclopedias and dictionaries of business, finance, and economics. Index to world-wide economics literature from 1886 to present. Full text of working papers from the National Bureau of Economic Research. Books NOT included in subscription. Most NBER Books older than 18 months are available for free. Now hosted on the SpringerLink platform. Continuously updated. Full-text of business journals, newspapers, news wires from all over the US. Market research and industry news about professional and collegiate sports and sporting goods. Includes brand share-of-market for over 100 leading consumer product brands that are involved in sport sponsorship. (Click on “Brand Share of Market”). Formerly Business & Company Resource Center. Research and analyze worldwide companies and industries. Extensive reference content from scholarly journals, news, market research reports, market share reporter, SWOT reports and more. NOW AVAILABLE FROM MERGENT ONLINE; CLICK ON MERGENT ONLINE LINK AND LOOK FOR INVESTEXT TAB AFTER ENTERING DATABASE. Enhances Mergent Online with details of public and private companies in the US and worldwide. Includes contact information, financials, and key personnel. Note: You may need to enter your Fordham email address to access some of the content in this database. Complete run of the Moody's/Mergent manuals. Covers corporate histories, properties, subsidiaries, officers and directors, long-term debt and financial statements. With the exception of the Municipal and Government, the database covers the following manuals: Industrial (1920-present), Public Utility (1914-present), OTC Industrial (1970-present), OTC Unlisted (1986-present), Transportation (1909-present), International (1981-present), Bank and Finance (1928-present). Comprehensive global company database. Includes deep current and historical financial and industry information with report building. Includes news, competitors, and much more.No access to content in tabs with grey lettering. Now includes Investext! Use Firefox for best results. New Platform from LexisNexis! Now includes Hoover's Company Reports. Major US & world news,company profiles, SEC filings, US and State legal cases including Supreme Court decisions back to 1790. NEW: alerts, saved searches, and collaborative workspace with share folders and annotated documents. FOR BEST RESULTS: MUST CREATE ACCOUNT & LOG IN; TURN OFF POP UP BLOCKERS. 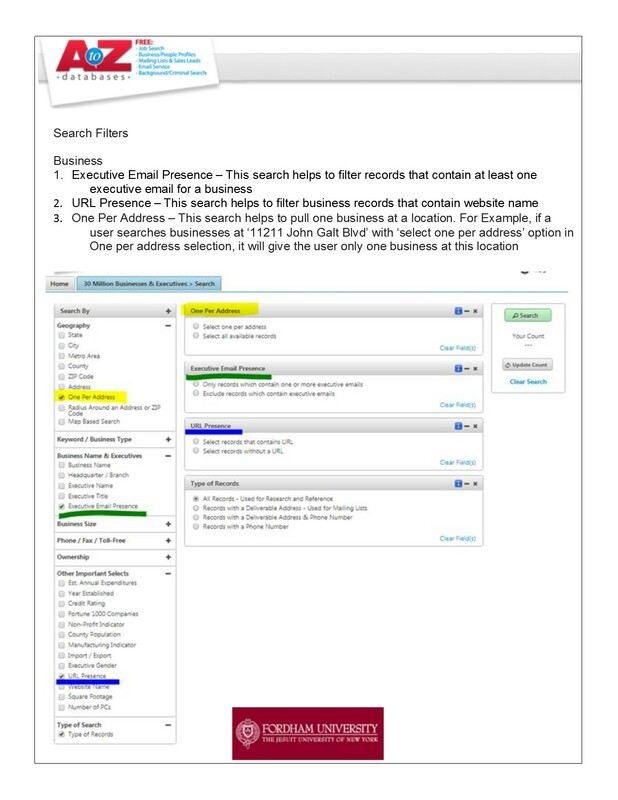 Click on the Business box for Company Dossier information. Broad spectrum of industry and company analysis including S&P Industry Surveys, S&P Equity Research, and new “Markets” tab with drill downs to industry and sub-industry key ratios, benchmarks, constituents. Company data covers a global universe of over 3 million private companies and 250,000 public companies. Up to the minute news and analysis of the U.S. Stock Markets. Click sign out link when finished, 6 simultaneous users limit. CLEAR CACHE FOR REMOTE ACCESS. market research, and employment information. Provides multi-faceted information for research and industry analysis in the manufacturing, business and engineering disciplines. Profiles of over 15,000 U.S. and international advertising agencies and 21,000 global advertisers. Please click sign out link when finished, 3 Simultaneous User limit. A comprehensive directory of industrial products and services. Create a free account for enhanced content. Comprehensive database on international development finance and foreign aid, accompanied by a variety of innovative software applications to analyze these data. UNICEF website providing statistics and data on the situation of children and women throughout the world. Some data is downloadable to MS Excel. Economic and political analysis of events. Two-year political and economic outlook. Text supported by data tables and charts. Subscription limited to Algeria. Go to Passwords List for login information, then click on the Reports tab. Political & economic intelligence, data, analysis, briefings & news across the globe. Detailed information on nearly 200 countries including maps, names of leaders, religions, and more. NO access to: Video, Elections, Forecasts, Country Briefing. Online version of the Europa World Year Book and the nine-volume Europa Regional Surveys of the World series. Contains political and economic information for about 250 countries. Data for over 100 indicators and 165 economies. Links to annual data prior to 2008 in LABORSTA (Int'l Labour Office). *Must register and log in with personal username and password in order to download data. See upper right corner. Current economic statistics for most of the countries and areas of the world. Use menu on the left to navigate content. Full text of over 1.7 million books, documents and articles from thousands of journals and newspapers. Labor statistics covering a broad range indicators including employment, compensation, vacancies and labor disputes. Economic information and statistics for member nations of the Organization for Economic Cooperation and Development. Data on government sector receipts, taxes in particular. Detailed and internationally comparable tax data for all OECD countries. As one of the largest statistics portals worldwide, Statista consolidates data on over 80,000 topics from more than 22,500 institutes and sources. Most data and charts are downloadable as PNG, PDF, XLS and PPT. Comprehensive collection and summary of statistics on the social, political, and economic conditions of the United States. Data is downloadable to MS Excel. Web-based research tool providing access to the most up-to-date tax and accounting information. Checkpoint online system delivers fully integrated tax, accounting, auditing and corporate finance content, including primary source materials and expert analysis. Includes some WG&L and RIA content. market conditions, opportunities, regulations, and business customs for over 125 countries. From Cambridge Crystallographic Data Center. The CSD is the world's repository for small-molecule organic and metal-organic crystal structures. Access only from dedicated terminals. Contact Jane Suda (jsuda@fordham.edu) for information. A free chemical structure database providing fast access to over 25 million structures, properties and associated information. By integrating and linking compounds from more than 400 data sources, it enables researchers to discover the most comprehensive view of freely available chemical data from a single online search. Owned by the Royal Society of Chemistry. Produced by The National Library of Medicine, Toxicology Data Network is a group of databases that covers areas of toxicology including chemicals and drugs, environmental health, risk assessment and regulation, occupational safety and health, diseases and the environment, and poisoning. Full text of over 1,300 journals. NOTE: Open lock icon next to a title indicates partial or full access. At the article level look for the icon for full text access. No icon means no access. Index of books and articles on ancient Greece and Rome. Comprises the data of BTL 4, supplemented by the texts of all Latin editions of the Bibliotheca Scriptorum Graecorum et Romanorum Teubneriana printed by 2008. Content updated annually. THESAURUS LINGUAE LATINAE no longer combined with BTL. Go to Alpha Tab (T) or Classics Subject. Classical and Medieval Latin dictionaries. Fragments of the Greek historians that comprise Felix Jacoby's monumental work. A study of the ancient Greek historians. A unique reference work bringing together Felix Jacoby’s monumental Die Fragmente der Griechischen Historiker Parts I-III, Brill’s New Jacoby, the new edition of these three parts, and the completely new Parts IV and V. Updates to these products made several times a year. The digital Loeb Classical Library continues the historic mission of making all that is important in Greek and Latin literature available and fully searchable with accurate, literate, English translations. Currently more than 520 volumes. Full text of the Pauly encyclopedia of classical studies. Bibliographies in 7 subjects: Art History, Buddhism, Classics, Communications, Medieval Studies, Philosophy and Social Work. Citations are linked to full text when available. A comprehensive database of ancient Greek inscriptions. Latin literary texts written before A.D. 200, as well as some texts selected from later antiquity. Complete texts of all classical Greek literature from Homer to the fall of the Byzantium in AD 1453. The new interface requires all users to establish a user profile. Largest Latin dictionary in the world; the first to cover all the Latin texts from the classical period up to about 600 A.D.
National filmography documenting the history of American cinema. Cataloging currently covers the years 1893-1974 comprehensively, with additional records covering selected major films from 1975 on. Scroll to communications subject and click on the AP Daybook link. Database of emerging research from academic journals in a variety of disciplines, including medicine, education, sociology, psychology, gender studies, communication, and more that reveals the evidence behind the ways media, youth, and health intersect. INTERMITTENT TECHNICAL DIFFICULTIES REPORTED. PLEASE TRY A DIFFERENT SEARCH TAB! Index with full text of hundreds of journals and other sources. A bibliographical resource offering coverage of hundreds of the world's foremost academic and popular film journals from 1972 up to the present. Many of key titles are available in full text including complete runs. A major information resource for international entertainment films and personalities produced by the British Film Institute. Indexes films from over 170 countries from 1900-present. A comprehensive index to over 600 publications on film and television with links to full text. Information related to films, television programs, actors, production crew personnel, video games and fictional characters featured in visual entertainment media. A rich core collection of archival movies uploaded by users which range from classic full-length films, to daily alternative news broadcasts, to cartoons and concerts. Many of these videos are available for free download. Unlimited access to all ACM publications, including the entire archive dating back to 1954, hundreds of proceedings and the ACM Guide to Computing Literature index. Index of periodicals, conference proceedings, technical reports, patents, books and press releases going back to 1981. World-class technology news, information and reports. Must sign in with Access IT ID. No access to Research Library. New interface with the first release of the letter I. A dictionary of English words in use from 600-1150 AD. So far, only A-I is online. Simultaneously searches the Oxford English Dictionary. A complete record of surviving Old English except for some variant manuscripts of individual texts. Definitions and links to information about the slang of various locations and groups in the United Kingdom. Unabridged, historical dictionary giving current and past meanings with examples of use drawn from literary. Includes the Historical Thesaurus of the OED, the first comprehensive historical thesaurus ever produced for any language, and contains almost every word in English from Old English to the present day. Oxford's bilingual foreign language dictionaries. Includes usage examples, grammar information, and pronunciation guidance. For English, click on Oxford English Dictionary above. Full text of the Encyclopedia. Note: You will receive a prompt to protect privacy. Select "Use My Location. Gale Directory Library. Provides contact information and descriptions for multinational and national groups based throughout the world, as well as multinational associations headquartered in the U.S.
Gale Directory Library. Comprehensive source of detailed information concerning nonprofit American membership organizations of national scope. Covers more than 23,000 organizations in categories such as trade, business, and commercial; legal, governmental, public administration, and military; cultural; educational; veterans, hereditary, patriotic; athletic and sports; fan clubs, and more. 2nd ed. (2003) Go to Table of Content for full text. Hundreds of books covering literature, classics, philosophy, religion, and cultural studies. Provides writing, editing and citing help. Information on over 100,000 foundations, corporate giving programs and grant making public charities. Go to Passwords List for login information. Search through detailed descriptions of thousands of foundation programs. Online access to encyclopedias and reference works on business, education, American history, sociology, psychology, religion, medicine and congressional legislation. Companion site to the MLA Handbook that features guidelines on formatting a research paper, sample papers in MLA style, a chapter on plagiarism and academic dishonesty republished from the handbook, resources for teaching, regularly updated tips on writing, and an FAQ by the MLA’s editors. Designed as a supplement to the handbook, it covers aspects of writing not addressed in depth in the book. Does not contain full text of the handbook. Consult print format. Over 300 dictionaries, encyclopedias and subject reference books published by Oxford University Press. Council of Science Editors' flagship style manual online. The authoritative reference for all areas of science and related fields. List of thousands of dissertations that were completed or are currently in progress at 200 academic departments in Canada and the U.S. compiled by American Historical Association. Access to almost 7,000 dissertations and theses produced by students at Fordham. From 1997 to current. The world's most comprehensive collection of full-text dissertations and theses, spanning from 1743 to the present day and offering full text since 1997, along with selected full text for works written prior to 1997. It contains a significant amount of new international dissertations and theses both in citations and in full text. Source of news, information, and jobs for college and university faculty members and administrators. Must be accessed in the library. Please ask a Reference Librarian to log in for you. Thousands of digital college catalogs, institution profiles, transcript keys, and other critical resources. On ProQuest's platform. Supports the study and application of education across all levels of education, including early childhood education, primary and secondary education, and higher education. Largest collection of education journals. Provides indexing & abstracting to over 1500 journals, and full text to over 750. Includes full text of numerous books and conference papers. A national newspaper focusing on K-12 education policy and practice. A forum for news, information, advice and opinion for teachers, as well as discourse on critical issues in American education. Information about educational tests and research by ETS. Index to both journal literature and unpublished documents since 1966 on education-related topics. Includes links to full text. HOSTED BY EBSCO. Sponsored by the U.S. Department of Education, provides access to more than 1.3 million citations to journal and non-journal literature since 1966. Critical evaluations of commercially available tests in education, psychology, business, and intelligence. NCES is the primary federal entity for collecting and analyzing data related to education in the U.S. and other nations. Over 500 free university and college level classes from the world's leading universities. Full text of journals and educational reports geared for professional educators. Provides indexing and abstracts for more than 270 of the most popular teacher and administrator journals. International Association of Universities' Worldwide Database of Higher Education Institutions, Systems and Credentials. Open access resource issued by the National Council for Science and the Environment. Gale Virtual Reference Library. Examines the philosophical and ethical issues underlying contemporary and historical environmental issues, policies, and debates. Focuses on the liberation struggles in the region, with an emphasis on Botswana, Mozambique, Namibia, South Africa, and Zimbabwe. Thousands of documents and images, including periodicals, nationalist publications, local newspaper reports, personal papers, UN documents, out-of-print and other books, oral histories, and speeches. Comprehensive African studies site. Conains unusual photographs, 3D models, GIS data, site plans, aerial and satellite photography, excavation reports, manuscripts, traveler's accounts, historical and antiquarian maps, books, articles, and other scholarly research. Collection of cultural, historical, legal, governmental, and research materials relating to the Caribbean. Includes newspapers, official documents, maps, artifacts and more. Register for free MydLOC account for advanced features. Complete bibliographic citations to hundreds of scholarly journals covering political, economic, social, and artistic topics for Latin America and the Caribbean since 1970. Includes some full text. More than 45 premier historical titles dating back to 1893. Day-to-day news coverage of leading issues and events throughout U.S. history as well as local and regional politics, society, arts, culture, business, and sports. Database of full texts, maps, images, and lesson plans sponsored by the Schomburg Collection of the New York Public Library. Full text of OUP reference books on African Americans. Includes the entire contents of the Dictionary of African Biography and The Oxford Encyclopedia of African Thought. From HeinOnline, covers slavery in the U.S. and the English-speaking world. Includes content from the Buffalo Erie County Public Library. Includes every state and federal statute, legal commentary, pamphlets and books from the 19th century, and other hard to find materials such as essays and articles in obscure journals. Provides word searchable access to all Congressional debates from the Continental Congress to 1880. Must Register for an Account. A still-growing list of known and newly recovered writers and texts. Full text access to publications from domestic and international organizations. Covers journal articles, book reviews and essays in books about women, sexuality and gender during the Middle Ages. Combines the Women's Studies International and Men's Studies databases and contains 700,000 records dating from the 1970's up to the present. Provides authoritative historical and current perspectives on the subject of gender roles. Covers both men and women, gay, lesbian, bisexual, and transgender (GLBT) studies; family studies; gender studies, and women's studies with a unique interdisciplinary approach. The collection represents multiple viewpoints from a wide variety of publications. Four-volume work capturing the experiences of women throughout history. Covers the subject of feminism over the long nineteenth century (1776–1928). Contains an extensive range of primary and secondary resources, including full books, selected chapters, and journal articles, as well as new thematic essays, and subject introductions on its structural themes. Thousands of documents, images, bibliographies and teaching aids. The catalog and index to the collections of the USDA's National Agricultural Library, as well as a primary source for access to agricultural information. Biographical directory of today's leaders in physical, biological, and related sciences including medicine. Full text of Annual Reviews on subscription, mostly in the sciences. A full-text, fully automated electronic archive and distribution server for theoretical and applied scientific research papers. From Cornell University. Coverage 1991 to the present. Nature is a weekly international journal publishing the finest peer-reviewed research in all fields of science and technology. On ProQuest's platform. A definitive resource for students studying both the applied and general sciences. Provides access to charts, diagrams, graphs, tables, photos, and other graphical elements vital to scientific and technical literature. Developed by the U.S. Department of Energy, provides access to energy-related R&D results from the 1940s to today. Incorporates Information Bridget and Energy Citations Database from the DOE. Covers many science subjects. Diverse primary source materials from books, newspapers and periodicals with views of American history and culture during the 19th century. Eyewitness accounts of historical events, descriptions of daily life, editorial observations, commerce as seen through advertisements, and genealogical records are available in a user-friendly online environment. Searchable full text of hundreds of newspapers. Gale's American Historical Periodicals collection offers a highly comprehensive documentary history of the American experience spanning four centuries with multiple perspectives on the thought, culture, and society of North America. History is presented through the eyes of those who experienced it, showing its impact on citizens from all walks of life. Search together all series of the American Antiquarian Society (AAS) Historical Periodicals Collection. Digital access to more than 500 periodicals published between 1684 through 1820. This collection of over 1,000 digital periodicals from 1821 to 1837 represents the Jacksonian Democracy era in history and is broad in scope including agriculture, entertainment, history, literary criticism, and politics. Presents over 1,700 titles dating from 1838 through 1852. The themes presented reveal a rapidly growing young nation, where industrialization, the railroads, regional political differences, and life on the western frontier were daily realities. Subjects covered reach into every facet of American life, including science, literature, medicine, agriculture, women’s fashion, family life, and religion. Over 1,100 periodical titles from 1853 to 1865 focusing on the Civil War and a diverse record of the continuance of daily life for many Americans—both leading up to and during the war. This collection of periodicals from 1866 to 1912 reflects a nation that persevered through a difficult set of circumstances: a bloody civil war that claimed hundreds of thousands of lives; the incorporation of the recently-freed African Americans into American life; and a population that rapidly expanded into the Western territories. Non-profit and non-partisan database of presidential documents, recordings and videos dealing with current and historical information on American presidents from 1789 to present. Full text of thousands of U.S. documents since 1972, including presidential speeches, treaties, Supreme Court decisions and various government reports. Use the Search Box to find all documents. Full texts of all Early American books published from 1639 until 1800. Full texts of all the books published in America from 1801 until 1819. Full text of books published by Fordham University Press. Key archival materials consisting of digitized letters, papers, photographs, scrapbooks, financial records, diaries, and many more primary source materials from the Kennedy, Johnson, and Nixon presidencies taken from the University Publications of America (UPA) Collections. Primary source materials highlighting U.S. international relations from the early days of the Kennedy administration, through the escalation of the war during the Johnson administration, to the final resolution of the war at the Paris Peace Talks. A collaborative effort between Cornell University and the University of Michigan, these two institutions developed a thematically-related digital library documenting American social history from the antebellum period through reconstruction. A collaborative effort between the University of Michigan and Cornell University, these two institutions developed a thematically-related digital library documenting American social history from the antebellum period through reconstruction. C19 Index is the bibliographic spine of 19th century research, providing integrated access to the most important finding aids for books, periodicals, official publications, newspapers and archives. Full text of 21 volumes of Eisenhower's most significant writings. A comprehensive guide to books and articles about Britain, Ireland and the British overseas written from the Roman period to the present day. Digital library containing some of the core printed primary and secondary sources for the medieval and modern history of the British Isles. Includes Parliament Rolls of Medieval England. NOTE: TO BE RECOGNIZED AS A FORDHAM USER, MUST FIRST CLICK THE LOG IN LINK ON GREEN BANNER, UPPER LEFT CORNER. Sourced from the British Library, this collection of 69 newspapers ranges from early tabloids to radical papers. The historical content uncovers unique perspectives from national, regional, and local origins as well as interests of diverse and distinct attitudes, cultures and vernaculars. Unique historical reference compendium of renowned texts of the Cambridge Histories series. From the first book published in English through the age of Spenser and Shakespeare, this collection contains more than 125,000 books and pamphlets printed in English. Full text of thousands of unique and scholarly e-books in the humanities and related social sciences from the American Council of Learned Society. All titles are unlimited use; no simultaneous use restrictions. Dedicated to the advancement of learning in the study and teaching of the Middle Ages and Renaissance (400-1700) through the development and distribution of online resources. Journals and scholarly collections. Bibliographic and full text database that provides comprehensive area coverage for Middle East and Africa. Specific focus is on political and social development, foreign policy, economic development, investment, oil and petrochemicals, trade and technological industries. Full texts of medieval historical documents. UK government's official archive containing over 1000 years of history. Online access to British pamphlets held in UK research libraries. For direct access to pamphlets, click on Pamphlets Tab > Then click on each Alpha Link. E-books database of primary sources in world and american history, politics, social sciences, philosophy, law, literature and science. Remember the file name and where it is saved on your computer. You will need to know this when it is time to read the file in the EPUBReader extension. menu icon (3 dots) > more tools > extensions > get more extensions > search for EPUBReader > add to chrome > close welcome box. The EPUBReader icon should be automatically added to your toolbar. Click on the EPUBReader icon in your Chrome or Firefox toolbar to open it > click on the folder icon at the top of the page and select the previously saved ePub file. NOTE: Your file will not be saved in the Reader; you will have to open the file each time you want to read it. Contains the 20th Century House of Commons and House of Lords papers as well as accounts of debates. Provides an overall view of the pronunciation and vowel systems of the dialects of the U.S. and Canada. Print and multimedia content with a wide selection of data, maps, and audio samples. Abstracts of journal articles and citations to book reviews back to 1973. Covers monographs, periodical articles, literary works, book reviews and essays published internationally after 1920. An authoritative reference for anthologized poetry, over 450,000 citations, 250,000 full text poems, 1,000 poem commentaries, 600 glossary terms, approximately 500 poet biographies, and full-text of 14 essential Columbia University Press titles of poetry history and criticism. Online encyclopedias and dictionaries of language and literature. Gale's literature platform for cross-searching: Contemporary Authors, Dictionary of Literary Biography Complete Online, Gale Virtual Reference Library, Literature Criticism Online, Literature Resource Center, LitFinder, Scribner Writers Online and Twayne's Authors on GVRL. Comprehensive database covering over 2000 journals, books and other important reference sources. Literature reference database. Includes information on literary figures from all time periods writing in all genres; thousands of overviews of literary works; links to hundreds of websites focusing on major authors and their works; Literary-Historical timeline to help place literature in its historical and social context; thousands of author portraits; Encyclopedia of Literature; access to numerous literary journals; some literary criticism (see Literature Criticism Online for comprehensive coverage). Full text of over 130,000 poems, stories, plays, essays, and speeches from thousands of authors. Over 800,000 citations overall. Multinational content. Jonson's complete writings online. Explores the work of Shakespeare’s greatest contemporary with contextual documents, essays, high-quality images, music scores and stage performances. Biographical information on thousands of modern novelists, poets, playwrights, nonfiction writers, journalists and scriptwriters. A key GALE ARTEMIS cross-searchable resource. A bibliography of Milton's works and critical studies of his life and works, 1624-1799. Contains over 13,000 entries. Online access to the content of purchased print reference series including Magill's Literary Annuals, Critical Surveys, Maserplots-4th Edition and Critical Insights - Authors, Themes and Works. American, British, European and World & Genre Writers collections of e-books. Full text of articles from Shakespeare Survey, an annual journal published since 1948. Includes over 600 well-known books from Twayne's World, English and US Authors series. Main corpus consists of over 3500 texts, ranging from classic works of French literature to various kinds of non-fiction prose from medieval to the 20th century. Full texts of Spanish books in the public domain. Full text of 180,000 books published from 1700 to 1799. Folger Shakespeare Library, home of the world's largest and finest Shakespeare collection, offers high-quality digital texts of Shakespeare's plays, sonnets, and poems. Includes free downloading of the source code for noncommercial Shakespeare projects. Includes the earliest copy of the Anglo-Saxon Chronicle (c. 890), unique copies of Old English poems and King Alfred's translation of Gregory the Great's Pastoral Care. The Parker Library also contains key Anglo-Norman and Middle English texts, medieval travelogues and maps, apocalypses, bestiaries, royal ceremonies, historical chronicles and Bibles. A comprehensive historical survey of the field's most important figures, schools, and movements. Updated annually. A comprehensive collection of literary criticism from classical to modern times. Complete Masterplot series with plot summaries of fiction, drama, and epic poetry, as well as biographies of authors. Supersedes Thomas.gov. Contains official and factual U.S. Federal legislative information such as text of bills and statutes, committees, reports, resolutions, members of Congress and more. Direct links to The Congressional Record and Congressional Research Service Reports. Edward Elgar Publishing. Presents international economic law in its broadest, real-world context. Scroll down for other subscribed and Open Access content. Encyclopedia of Law and Economics, 2nd Ed. Edward Elgar Publishing. A major update of the most authoritative reference work in the field of law and economics including the nine print volumes released here online. The Encyclopedia provides balanced and comprehensive coverage of the major domain in law and economics, including: criminal law, regulation, property law, contract law, tort law, labor and employment law, antitrust law, procedural law, and the production of legal rules. Scroll down for other subscribed and Open Access content. Edward Elgar Publishing. Provides unique insights into the discipline of Private International Law and how it is affected by globalization and increased regional integration. Scroll down for other subscribed and Open Access content. New from HeinOnline. More than 500 titles dealing with various aspects of gun control. Included are periodicals, key compiled federal legislative histories, relevant congressional hearings, CRS Reports, Supreme Court briefs, and more. Links to nearly 500 scholarly articles,* an extensive bibliography, and a balanced selection of external resources to further research this subject are also provided. Research the National Firearms Act, the Miller and Heller decisions, and other key aspects of this subject. Contains legal and law-related periodicals, full text mostly of back volumes but some current issues available. Index to articles from law journals and books dating back to 1908. Online access to foreign and international legal literature. Includes pre-1926 treatises and similar monographs, sourced from the collections of the Yale, George Washington University, and Columbia law libraries, in International Law; Comparative Law; Foreign Law; Roman Law; Islamic Law; Jewish Law; and Ancient Law. Historical legal codes, statutes, regulations, and commentaries on codes from the United Kingdom, France, Germany, and other countries in northern Europe. Sourced from the law libraries of Yale, Harvard, and George Washington University. Legal treatises on US and British law published from 1800 to 1926. Full-text searching on more than 10 million pages provides researchers access to critical legal history. Covers full text, primary source Congressional legislative history. Includes all enacted and related bills, Congressional Record excerpts, and related committee documents. All of these publication types can be used in court to determine the intent of Congress in enacting legislation in cases where the statutory language is ambiguous. Presidential signing statements are also included. Full text of numerous online journals in mathematics. Math reviews: index to mathematical literature from 1940. Profiles of over 6,000 hospitals including key characteristics, utilization, and financial information. Must be accessed in the library. Please ask a Reference Librarian to log in for you. Operating Trends, Profile Compare, and System Compare options are not available. Online encyclopedias and dictionaries of medicine and health. Full text of many articles from health and fitness magazines, medical periodicals, reference books and pamphlets. Full text and abstracts for health journals focusing on many medical topics, especially nursing and drugs. Subscribed content limited to JAMA, JAMA Psychiatry and JAMA Pediatrics 1998-current. Limit searches to subscribed content only. The world’s largest medical library, it has free and reliable consumer-oriented health information about diseases, conditions, treatments, drugs, clinical trials, supplements and wellness issues. Produced by the National Library of Medicine. Treatments for thousands of diseases and conditions. Contains photographs, audio and video material. NCHS is part of the Center for Disease Control and Prevention; responsible for collecting vital U.S. health statistics. A bibliographic database covering literature on traumatic stress sponsored by the U.S. Department of Veterans Affairs. It provides citations and abstracts to the international literature on post-traumatic stress disorder (PTSD) and other mental-health traumatic events. Full text information from leading publications covering all aspects of health administration. Includes hundreds of doctoral dissertations on health subjects. Over 27 million citations for biomedical literature from MEDLINE, life science journals, online books, and other resources. MEDLINE is the primary component of PubMed. Citations may include links to full-text content in PubMed Central and publisher web sites. Records are indexed with NLM Medical Subject Headings (MeSH®). MEDLINE Citations are included in OneSearch. For more information, see NIH Resources Guide. Full text of hundreds of books in Medieval studies. NOTE: Not all titles are available. Look for green box next to accessible titles. Images of Medieval and Renaissance Manuscripts, including Fordham's collections. Text of letters from and to Wolfgang Capito which are either unpublished or have been published before 1850 and are difficult to access. Information on Medieval prelates and dioceses. About 15,000 names, addresses and specialties of medievalist from all over the world. Contains over 350,000 records of journal articles and books related to the Middle Ages published since 1967.Limited simultaneous users. If access denied, please try again later. A compendium of translated primary sources on the history of the Middle Ages, from the Fordham University Center for Medieval Studies. Complete text of the printed works, over 36,000 articles, covers all aspects of medieval studies within the period 300 to 1500. Full text of classical, medieval and modern Latin literature. Replaces the CETEDOC library. This archival collection, comprising over four-million letters, covers a chronological span from 1537 to 1743. It documents the political, diplomatic, gastronomic, economic, artistic, scientific, military and medical culture of early modern Tuscany and Europe. Digitized books and manuscripts principally from the major collections of government records of England, Ireland, and Scotland concerning economic, political, legal, and ecclesiastical history, such as treasury accounts, chronicles, papal registers, etc. Includes all medieval manuscripts at Fordham, whether on parchment, microfilm/fiche, photocopies or facsimile. Reviews of current work in all areas of Medieval Studies since 1993. Annotated bibliography of printed and online primary sources for the Middle Ages (including Internet Medieval Sourcebook) from the Center for Medieval Studies, Fordham University. Essential texts covering the terror of the Black Death to the drama of the Norman invasion, MMSO brings alive the reality of life in the medieval world through these first hand accounts. Manuscripts of the most important works of European travel writing from the medieval period. Contains the Middle English Dictionary, Full texts of Middle English Literature, and much more. Electronic version of the first edition of Migne's 1884 edition of the writings of the Latin Church Fathers. Cross-searchable with Acta Sanctorum. Database of medieval libraries and manuscripts in Germany and other countries in Europe. Comprehensive multi-disciplinary full text database with thousands of periodicals and other publications. Collection of full text and bibliographic databases covering every area of academic study. Mobile users will be automatically recognized. Hundreds of academic journals in full text from v.1:n. 1. Access to current subscribed content of participating titles included. Basic and advanced searching defaults to "read and download" content we subscribe to. Browsing defaults to "all content." Look for the Access Level limiter on the lower left side to change settings. Premier online resource for helping students explore today's hottest social issues from all perspectives. * Note: Only 85-90% of each Reference title is included in the database. Some material is omitted because of online rights issues. Full text of hundreds of journals including current issues. No access to books. Index and abstracts to over 400 journals since 1983. Includes full text of many articles. Financial news coverage on Proquest's updated platform. Provided through the US Newsstream package. Full text from 1988 - Present. Full text articles from thousands of national, international, state and local English language newspapers published between 1980 and present. Full text of a variety of newspapers from New York State. Full text from 1980 to the present on the ProQuest platform. To access the Web Version during the academic year, click HERE then click on the Passwords Link and scroll down to NYT to retrieve an Academic Pass. Provides cover-to-cover full text for more than 40 U.S. & international newspapers. Also contains selective full text for 389 regional U.S. newspapers. In addition, full text television & radio news transcripts are also provided. Most recent U.S. news content, as well as archives back into the 1980s from newspapers, newswires, blogs, and news sites in active full-text format. Includes access to the Los Angeles Times, Chicago Tribune, The Wall Street Journal and a large collection of local and regional newspapers on the ProQuest platform. INCLUDES FORMER BLACK NEWSPAPERS. Browse issues from 1984 to Present. Crime, Scandal, and Blackmail Papers of the Nineteenth Century. Provides access to information about historic newspapers and select digitized newspaper pages. Produced by the National Digital Newspaper Program, a partnership between the National Endowment for the Humanities and the Library of Congress. Full text of the L.A. Times for 1881-1993. Full text of The New York Times for 1851-3 years ago, with Index (1851-1993). Full text of The Wall Street Journal for 1889-2000. Full text of the Washington Post for 1877-2000. The NYS Historic Newspapers project provides free online access to a wide range of newspapers chosen to reflect New York's unique history. Created and administered by the Northern New York Library Network in partnership with the Empire State Library Network. From Adam Matthew Digital, a rich trove of material for researchers in theatre and drama, literature, history, politics, music, censorship, gender, romanticism and the long eighteenth century. Oxford University Press. Comprehensive coverage of popular music from 1900 to present. Includes jazz, country, folk, rap, musicals, world music, etc. Full text of over 500 titles; nearly 200 journals and 400 books and monographs. Music Periodicals Database with index to hundreds of music journals and some links to full text. Performing Arts Periodicals Database with index to journals on theatre and dance. Some full text. AVOID USING MAC w/FIREFOX FOR ALL STREAMING VIDEOS (NEEDS SEPARATE FLASH DOWNLOAD). Provides a suite of online audio recordings to support the teaching of American musical traditions including country, folk, jazz, bluegrass, western, old time, American Indian, blues, gospel, R&B and more. Fully searchable classical music resource containing tens of thousands of recordings plus textual reference material. Scores of nearly 25,000 pieces of music many of which are recorded in Classical Music Library, so that one may listen to the music while following along with the score. Delivers the sounds of all regions from every continent. Contains important genres such as reggae, worldbeat, neo-traditional, world fusion, Balkanic jazz, African film, Bollywood, Arab swing and jazz, and others. Thousands of jazz artists, ensembles, albums, and genres. From Alexander Street Press. A wide range of popular music from around the world. Major genres in pop music including alternative, country, Christian, electronic, hip-hop, metal, punk, new age, R&B, reggae, rock and many more. Recordings of all kinds of music from all over the world. Resources for music research including Grove Music Online - the leading dictionary of music, musicians, opera and jazz. Fordham University community can ignore the log in box! Proquest platform enabling the ability to cross-search American Film Institute Catalog (AFI), Film Index International (FII) and FIAF International Index to Film Periodicals database. Twenty-one videos from Bloomsbury Publishing, Drama Online Collection. Six videos from Bloomsbury Publishing, Drama Online Collection. Gale Virtual Reference Library. 10 volume encyclopedia edited by Donald Borchert. Macmillian, 2006. Go to Table of Content for full text. Thousands of books, articles and dissertations are listed from 1900 to the present. Scroll down at the homepage for access. Replaces both the International and the American Directories and includes all world-wide data. Updated continuously. Electronic version of Migne's Greek Fathers. Text in Greek with Latin translation. Abstracts of articles and books since 1940. Comprehensive index of philosophy books and articles offering unique features such as real-time indexing of pre-prints, fine-grained classification by topic, email alerts, reading lists, advanced search functionality, and discussion forums. Allows searching of the entire database, access to full text only for subscribed journals. Complete edition of the multi-volume encyclopedia updated quarterly. Access to 70+ journals from the Institute of Physics, including full archival access. Note: Journal content only! American Physical Society's online archive for Physical Review Letters, Reviews of Modern Physics, Physical Review A–E. It contains all APS journal articles published from 1893–2007. Another year is added each January. Statistical and historical analysis, historic documents, primary source materials and directories of organizations. Covers 22 subject areas including advocacy, education, energy, environment and transportation. Now on the Proquest platform! Online access to public policy research and analysis from think tanks, university research programs, research organizations and publishers. Explanations of the acts of Congress from 1945 to the present. Legislation, biographies of members, votes, and documents. Sage CQ Press Library. A reference work on Congress, the Presidency, the Supreme Court, and the election process. Authoritative resource for information on the members of Congress. Explore rich analysis of how the legislative process works and learn about landmark legislation. Research vital aspects of campaigns and elections and learn more about the development of political parties. Explore the complex operations of the executive branch and learn more about the Presidents and their administrations. Explore comprehensive coverage of landmark cases and the justices who decided them. Explore how the U.S. Constitution remains a malleable document and learn about significant legal concepts. Includes Archive 1923-Present. A database of in-depth, authoritative reports on political and social-policy issues that study the evolution of various topics over time. Commentary and analysis on Supreme Court decisions, biographies of justices, and history. Presidential, congressional, and gubernatorial election and campaign informatin. Political parties and demographics are also covered. A guide to national organizations and government agencies. Primary material documenting the actions, debates, and thoughts of the First Federal Congress and its members. Biographies of today's political leaders. Search and retrieval service with direct links to documents available online. Use it to link to Federal agency online resources or identify materials distributed to Federal Depository Libraries. Coverage begins with January 1994 and new records are added daily. Comprehensive digital library of U.S. Government information, drawn from a wide variety of sources, and sharing the attributes of being of public interest or educational value. Online access to official publications from all three branches of the Federal Government. Full text of legislative, executive and judicial Federal resources. About 50 different collections of Federal Government information are available. Launched in February 2016 as a beta website, the govinfo next generation portal will eventually replace its predecessor, GPO’s Federal Digital System (FDsys). This searching tool, a service of the Catalog of U.S. Government Publications (CGP), provides simultaneous searching across multiple Federal Government databases. Main research arm of the US Congress for historical and educational content. Holds over 150 million items covering all aspects of American history and culture. Full text of official U.N. documents published from 1993 onward, including documents of the Security Council, the General Assembly, the Economic and Social Council and their subsidiaries, as well as administrative issuances and other documents. US Government site with information about the Federal court system including judiciary news, court records, statistics and reports on court cases, court house finder and more. The US government's official web portal and search engine for federal, state and local government web sites, interagency searching, and directories. Less research oriented, the site is good for popular & timely information and services such as registering to vote, obtaining passports, jobs & unemployment, emergency services and more. Online versions of books published by Library of Congress for the U.S. Dept of Army between 1988-1998 focusing on 101 lesser known countries. Comprehensive country profiles chronicling national history, government, political parties and other organizations. Gateway for a broad range of resources and information for all sectors and countries of Latin America and the Caribbean. Includes policy briefs, working papers, annual reports, monographs, statistics, economic indicators, data visualizations for various socio-economic variables and more. United States Department of State website for all international relations information. Includes policies, representatives, interactive maps, country reports and more. Translated and English-language radio and television broadcasts, newspapers, periodicals, government documents, and books providing global reaction to major protest and reform movements. World's largest archive of digital social science data. Must be on campus when setting up account for public-use data. If you need access to restricted-use data, contact Fordham's IRB. Free, independent resource on trends in American public opinion. Reports of polls on hundreds of topics. A button at the bottom of every record invites users to "Graph This Question." Clicking the button exports the question to an Excel worksheet. House and Senate Reports (1819-Present), Bills and Resolutions (1789-Present) and Legislative Histories (1969-Present). Also includes the Serial Set with House and Senate Documents and Reports (1789-2003). The largest online archive of public opinion. Comprehensive coverage of American political statistics from 1788. Online encyclopedias and dictionaries of psychology. Psychoanalytic Electronic Publishing database contains full text of journals (archive only), books (including Complete works of Freud) and videos on the subject. Thousands of full text articles from journals published by the APA. Full text of scholarly and professional books and chapters published by APA and other publishers. Includes Encyclopedia of Psychology and all volumes of the APA Handbooks in Psychology Series.All PsycBooks have UNLIMITED user access. Publications of the American Psychiatric Publishing including DSM-V, journals and books. On ProQuest's platform. Provides abstracts and indexing of key psychology journals. Users get access to charts, diagrams, graphs, tables, photos, and other graphical elements essential to psychological research. Index to serial and book literature in psychology with abstracts since 1840. Global digital library offering free access to more than 650,000 full-text articles, journals, books and other resources. Focuses on theology, intercultural and interreligious dialogue, ethics, and ecumenism in World Christianity. Must Register and Sign In with username and password. Worldwide index of books, journal articles, reviews and essays in all fields of religion with many links to full text. Includes all ATLASerials® (ATLAS®) titles and content previously available in the ATLA Catholic Periodical and Literature Index® (ATLA CPLI®). This database is produced by the American Theological Library Association. Provides indexing of periodicals, essay collections, church and papale documents addressing the practice and intellectual tradition of Roman Catholicism. From 1981 to the present, updated quarterly. An index to over 130 Evangelical Christian journals. Information about twenty centuries of Church history. International reference bibliography covering the full range of disciplines in Theology and Canon Law, Religious Studies and Church History. Covers publications in many European languages. Includes: Revue d'histoire ecclesiastique and the Elenchus Bibliograhicus from the journal Ephemerides Theologicae Lovanienses; Dictionnaire d'histoire et de geographie ecclesiastiques,with access to Die Bischofe des Heiligen Romischen Reiches encyclopedia biographies. Some links to full text. Searchable database of bibliographic records for scholarship in Jesuit Studies produced in the 21st century. Editorial oversight from the Archivum Romanum Societatis Iesu, the Jesuitica Project at KU Leuven, and the Institute for Advanced Jesuit Studies at Boston College. Abstracts of articles from thousands of journals, monographs, and reviews related to New Testament studies since 1985. Abstracts of articles from several hundreds journals, monographs, and software related to Old Testament studies. Coverage since 1978. A selective bibliography of articles in the various fields of Jewish studies. Compiled from thousands of periodicals and collections of articles in many languages mainly from the holdings of the Jewish National and University Library. On ProQuest's platform. Provides a wide range of primarily full-text periodicals and other sources for diverse religious and spiritual studies. The resource reflects a wide spectrum of religious belief systems and supports the global study of religion. Provides summaries of articles appearing in scholarly journals in the fields of Religion and Theology. Covers the literature on history of the Church itself. Theology and the auxiliary disciplines are not included here. Now part of Index Religiosus. Online encyclopedias and dictionaries of religion and theology. Gale Virtual Reference Library. Articles on Jewish life, culture, history, and religion. Brill Online Reference Works. Includes 2nd and 3rd editions and the Historical Atlas of Islam. Published by De Gruyter. First comprehensive reference work on biblical reception in Judaism, Christianity, Islam and other religions. Will be published between 2010 and 2018 in 30 volumes. Brill Online Reference Works. Comprehensive, multi-volume reference work on the Qurān. Dictionary of Qurʾanic & Qurʾān Concordance included. Searchable online text of the Acta Sanctorum (Lives of the Saints) published by the Jesuit Bollandist Society from 1643-1940. Cross-searchable with Patrologia Latina. Electronic corpus of writings, sermons and letters of the philosopher and theologian Augustine of Hippo (354-430). Edited by famous Augustinian researcher Cornelius Petrus Mayer. Includes recently discovered Sermones Dolbeau and Sermones Erfurt. Go to Passwords List for login information. Over seventy summaries of key texts from the earlier literature, painstaking surveys of more recent work, and digests of archival and online resources. Global scope covering both Anglophone and non-Anglophone sources and scholarship from Europe, Asia, Africa, and the Americas. Partial access only from Early Canadiana Online. A 73-volume set, in the original Italian, Latin and French with commentary and translation into English. Click on the Jesuit Relations Collection and then Browse this Collection. Go to View Page for full text. Contains the texts of national and papal documents and speeches with introductions written by the Catholic News Service. This database supplements the critical print edition and presents the full texts of all the available Hebrew and Aramaic manuscripts. SEE FORDHAM CATALOG for PRINT VOLUMES. Browse opens a list of 107 manuscripts classified into recensions according to the principles explained in volume one of the edition. A hyperlink for each title will redirect the browser to the text of the manuscript, whereas a small icon appearing next to the title will open this text in a separate frame. Any number of frames may be opened at the same time. The Navigate link opens a table presenting a synoptic view of the Toledot Yeshu microforms, where every column displays the sequence of these microforms in one recension. The titles and sequences correspond to those in the critical edition and translation. Each microform has a hyperlink opening the designated paragraph in all manuscripts of the recension chosen by the user, who then may select any two paragraphs and compare their literal correspondence. Wiley online library. Over 1,800 entries ranging from brief definitions to long articles. Oxford University Press. Contains over 400 subject entries and 200 brief biographies of key figures in the history of social work. 2nd edition of the 26-volume online encyclopedia. Reports from all over the world on population trends, health, and the environment. On ProQuest's platform. Offers indexing and full text for hundreds of academic journals, providing extensive coverage across a wide range of social science disciplines including anthropology, communication, criminology, economics, education, political science, psychology, social work, and sociology. Over 300 data sets on AIDS, Disability, American Family, Adolescent Pregnancy, Aging, and Maternal Drug Abuse. Datasets can be downloaded for SAS, SPSS, and STATA. Access only to DATA. Do Not use Internet Explorer. Offers extensive coverage of hundreds of social work and human services journals dating back to 1965. Produced by the National Association of Social Workers, the database provides citations and abstracts dealing with all aspects of the social work field, including theory and practice, areas of service and social issues and problems. Contains multimedia content such as music or video.